John Muir (1838-1914) was born in Scotland. In 1849 he emigrated with his family to the United States, where he later enrolled in courses in chemistry, geology, and botany at the University of Wisconsin. Muir made extended journeys throughout America, observing both scientifically and enthusiastically the beauties of the wilderness. 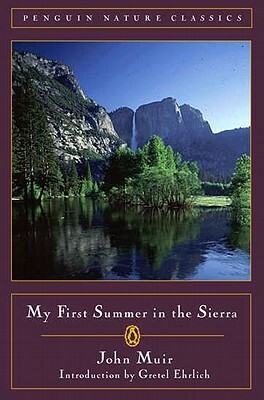 The Mountains of California, his first book, was published in 1894. He eventually settled in California, where he became an impassioned leader of the forest conservation movement. His writings include Our National Parks (1901), My First Summer in the Sierra (1911), The Yosemite (1912), Travels in Alaska (1915), A Thousand-Mile Walk to the Gulf (1916), and Steep Trails (1918).